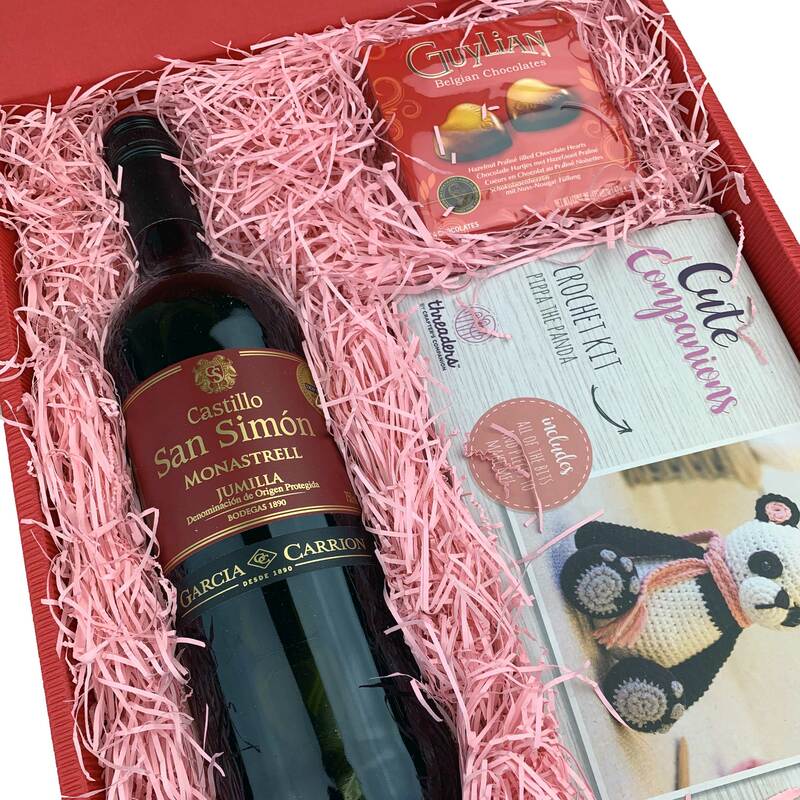 Buy this lovely Mothers day gift that comes with a full bottle of Castillo San Simon Monastrell, Pippa The Panda Cute Companions Crochet Kit and Guylian Artisanal Belgian Chocolate Hearts 42g. Packed in a card presentation box. Deep purple cherry colour with beautiful fresh aromas of berries. An easy-drinking red wine with silky tannins and a long, toasty aftertaste. The Threaders Cute Companions Crochet Kit, Pippa the Panda is guaranteed to be popular with any crochet lover and makes a fun gift idea for family and friends too! In this crochet kit, you’ll find everything you need to make your adorable Cute Companion including our wonderfully soft and fluffy yarns, easy-to-follow instructions, crochet tools, stuffing and a 3mm crochet hook.